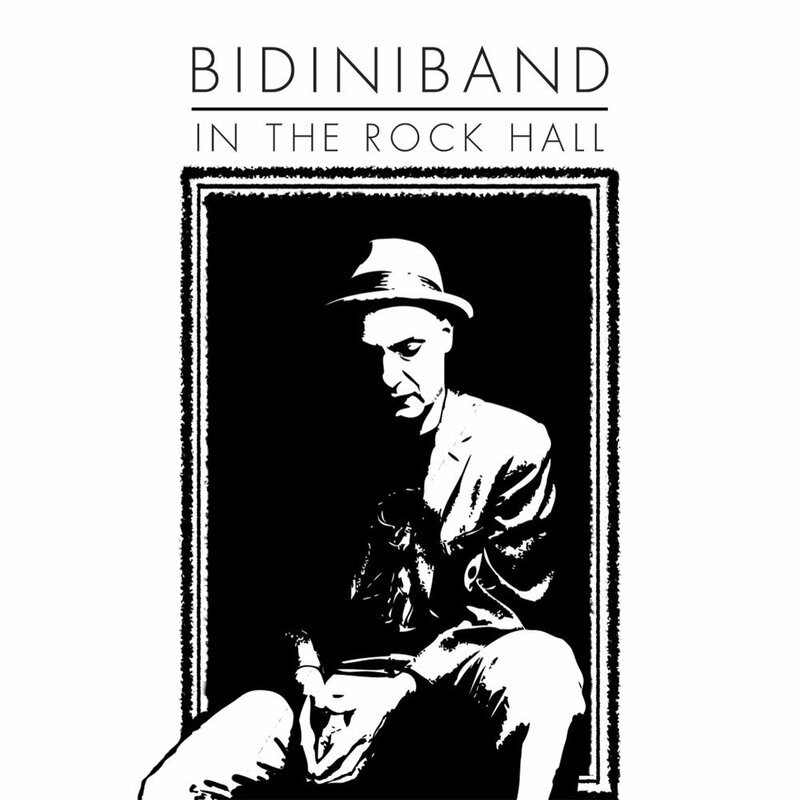 "That summer, I saw the Ramones"
Musician, author, raconteur, agent provocateur, Dave Bidini's musical career is entering uncharted waters. db is likely best known as one of the founding members of the Rheostatics, which performed its "final" concert in February 2007. For more than two decades, the band mapped new musical frontiers across Canada, embracing the nation that bore them and reinterpreting its sea-to-shining-sea grandeur in music of startling variety and indisputable beauty. Apart from one small reunion in 2009 for friend Paul Quarrington, the band did not play together again until reuniting in September 2015 for the 20th anniversary performances of their album Music Inspired by the Group Of Seven at the Art Galary of Ontario. For more on the Rheos, click here. For more on his solo and new collaborative efforts, see below. Released on May 29 2014 on Pheremone Records. The album is available for purchase at Maple Music. Here are the official videos for The Motherland and The Gray Wave. This is a live version of the french version of Ladies Of Montreal featuring Selina Martin on vocals. Released on January 24 2011 on Pheremone Records. The album is available for purchase at Maple Music. 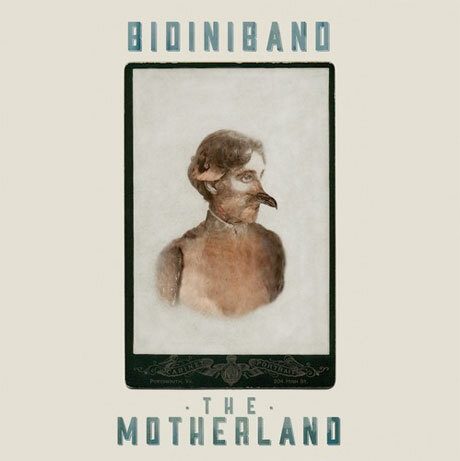 Bidiniband's second, was cut in just six days at Toronto's Revolution Recording studio with Bidini's longtime band consisting of drummer Don Kerr (Ron Sexsmith), guitarist Paul Linklater (the Pinecones) and bassist Doug Friesen (John K. Samson, Peter Elkas). It was recorded almost entirely live of the floor with just a single guitar overdub. In the Rock Hall gets its name from a poem by late writer Paul Quarrington. This is a great live version of I Wanna Go To Yemen and Big Men Go Fast On The Water from the Dakota Tavern from Exclaim TV 2012. This is a rousing live version of Last Of The Dead Wrong Things from the CBC Studio 211 from January 2010.
db and his new BidiniBand released their first album, The Land is Wild, on June 9 2009 on Pheremone Records. The album is available for purchase at Maple Music. The new album possesses "more songs about dead hockey players, cannibalism and lesbian school teachers." 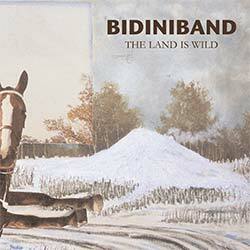 Members of the BidiniBand include former Rheostatic Don Kerr on drums and guitar; guitarist Paul Linklater; and Doug Friesen on bass. Don also produced the record. A live version of the title track recorded by a fan at the Wolfe Island Music Festival on August 7, 2009 is available on YouTube by clicking here. Press coverage about db and the album release can be found below. Interview with db in Jam! Finally, Hockey Night in Canada opened Game 4 of the Pittsburgh v. Carolina series with the title track, "The Land Is Wild." That also can be viewed on YouTube by clicking here. Five Hole Band available in digital! Zunior also presents Music From Five Hole: Tales of Hockey Erotica, the debut album from the all-star rock crew featuring db and Martin Tielli, fused with indie heroes Selina Martin, Ford Pier and Barry Mirochnik, all making music inspired by db's play of the same name. As exhilarating as winning game seven, more off-the-wall than Don Cherry’s fashion sense, and naughty enough to draw a five-minute major: Music From Five Hole: Tales of Hockey Erotica is a musical collection of engrossing, tender and hilarious songs about the steamy underbelly of our national sport. Click here to purchase. Dave has written and performed the theme song for a new animated series called The Somethings about a time-travelling rock band. He's developing the series with Trace Pictures, the folks responsible for several Rheostatics videos, including "The Tarleks." The tune features db on drums and acoustic, Paul Linklater on bass, and Janet Morassutti on guitar, and was produced by Don Kerr at Rooster Studios. Former bandmates db and Tielli collaborated with Selina Martin (who joined db and Tielli in the Five Hole band) have composed and recorded "Zapped," which is part of the soundtrack for Act of God, produced and directed by Jennifer Baichwal and Nick dePencier, the latter of whom produced The Hockey Nomad. db on acoustic guitar and percussion, Tielli on guitar and Selina Martin on saw. Martin mixed at Digital Refeerence Studios. Click here to listen. db and Paul Linklater rocked the vote on October 9, 2008 at the Phoenix Concert Theatre prior to the last federal election. View the two of them here. db also joined the Billie Hollies to cover FunBoy 3's "The Lunatics." That vid can be viewed right here. db's "Legal Age Life at Variety Store" appears in the latest Jon Heder (Napolean Dynamite) film, called Mama's Boy. The cast includes Diane Keaton, Jeff Daniels, Mary Kay Place and Eli Wallach. "Legal Age Life" is sung by a young folksinger in a club scene. Other artists on the soundtrack include The Jam, Billy Bragg and the English Beat. Click here to view. The soundtrack was released in November 2007. The movie was directed by Tim Hamilton, who also directed the "Aliens" video. The film is scored by Mark Mothersbaugh, formerly of Devo. Here are two songs arising out of db's visit to Africa. The version of "Horses" below was recorded in April 2007 at the Buduburam Liberian Refugee Camp in Accra, Ghana with the Liberian Dance Troupe Drummers, the Harmony Rocks Singers, Wilfred Brown, and a cast of hundreds. "Guitars instead of guns" was recorded in Freetown, the capital of Sierra Leone, at Studio D with AUCAYD Music Club, including Barmmy Boy, Hopesman and Lustenjay. For more information about db's trip to Africa, visit the travels page. The visit will be part of db's upcoming book Around the World in 80 Gigs. db was messing around with Dave Merritt of The Golden Seals back in early 2008, some of which is on the new album. These are early versions of songs on The Land is Wild. The Rheostatics' farewell concert has come and gone. Attended by fans from across North America, memories and memorabilia are at rheostatics.ca and rheostaticslive.com. A couple of new shots, showing the band's view of things, taken during sound check and the encore are on the travels page. Rheofan Darrin Cappe has launched a new website that contains MP3 live performances of our favourite Canadian wunderkinds -- okay, not so "kindy" anymore but still plenty of of "wunder." Visit Rheostatics Live to see what's what. Frequently updated postings include information, audio and video from the Rheos' farewell concert at Massey Hall. Got audio from old shows? Contact the host and share them with other Rheofanatics. Visit Rheostatics Live.